Cat owners agree there is no odor quite as pungent as spray from an un-neutered male cat. At last there is a product scientifically formulated especially for all those tough feline odors and stains. 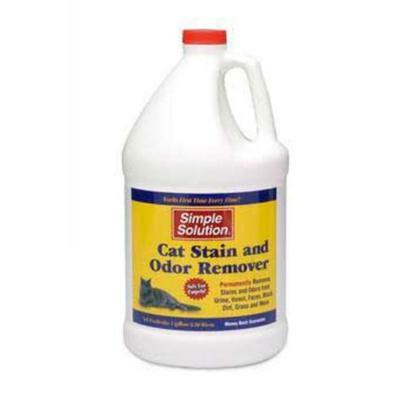 SIMPLE SOLUTION Cat Spray & Urine Stain & Odor Remover utilizes a revolutionary bacteria and enzyme technology that attacks the unique components found in cat spray, urine, feces, and vomit. This ready-to-use formula is the best on the market.